Hey all happy Friday. This is a special day for me . A first of I hope will be many. Today is my first author interview.
. Can you tell us a little about yourself. My name is Michael Phillip Cash. I'm 36 years old and I've been writing for 20 years. 5 of them professionally. I'm 5'11, 200 lbs, I live on Long Island with my wife and kids, and cheeseburgers without the bun is my favorite food. I do not like long walks on the beach. I have a line of novels out. Brood X, Stillwell, The Hanging Tree, Schism, Collision and The Flip. My novels range from paranormal to romance to fantasy. I'm also a big sucker for self help and spiritual books. I actually have flipped one house in my life but it was many moons before I became a professional writer. I'm more versed in house flipping shows than actual house flipping. Yes, I've encountered several ghosts in my day. Not face to face but I've seen them roaming the hallways. My friends and brother can attest to one ghost in a house I used to live in. He would walk back and forth in our hallway. Do you have any rituals when writing. Travel Channel on mute in background. ALWAYS. Did you read horror stories as a kid. If so which ones. I did and I liked them but I write a more realistic horror story. Blood and guts are just gratuitous and not my thing. Depends on how much of the story I beat out beforehand but generally a month because I write everyday. Do you have any words of wisdom for aspiring authors out there. Who want to write horror stories. Write. Write. Write. And read Save the Cat by the late and great Blake Snyder. It will teach you how to create a map for your story. It's my bible. What is your favorite book and author. As mentioned previously I'm a huge self help author. The Science of Getting Rich by Wallace Wattles is my all time favorite. Which author inspired you to write. My first love and passion is screenplays. Quentin Tarantino is my inspiration for my creativity. Water but if I had a choice, diet coke. 12, last but not least. 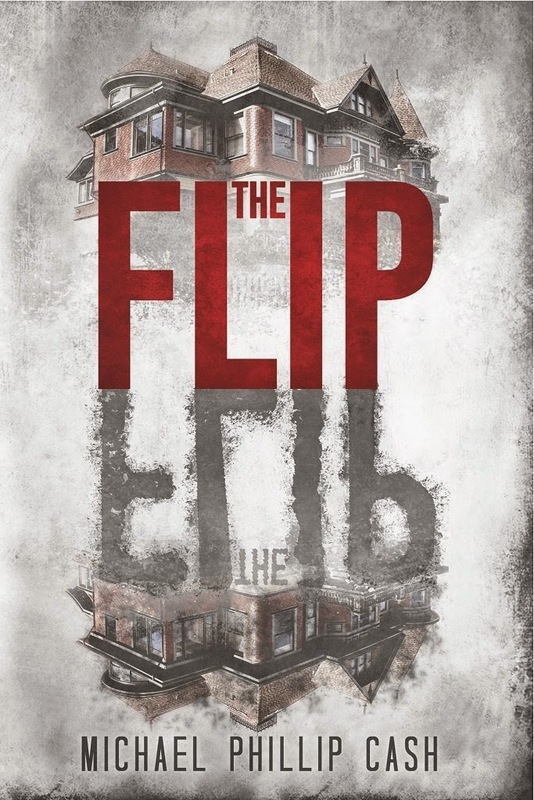 Are there any new books coming out after THE FLIP. Of course! Book III in the Darracia saga is almost complete. I'm working on a few more books, namely a political action/adventure and another lighthearted ghost comedy. Thank you for the great interview Michael . house flippers. With a get in clean up, fix and sell. They are doing pretty good for themselves. Until the day they found the house on Bedlam street. An old Victorian manor. The Hemming house as it is called. They start to clean out the place but there are some strange things going on . As Brad finds out, there are things going on that will test his patience and test the bonds of his and Julie's marriage. Will they survive the flip. This is a great ghost story. Its not your typical run of the mill ghost story, This is a gentler yet in my opinion a better written story. The author doesn't resort to graphic violence or gore in his stories . They are written with a passion that will keep you turning the pages. There is usually a twist in the end that will make you think wow. The characters of Brad and Julie are very well written. Brad is a hunky ex military man, who would do anything for his wife Julie. He is the brawn in the flipping game . Julie is the smart no nonsense woman that keeps Brad grounded. The other characters in the book Tess and Gerald are well written . Loved how the author went back and forth between the characters stories, seamlessly . Even the mention of the underground railway has a part in the story. Tess and Gerald are the ghosts in the story by the way. Tess is on a mission to make Brad hers. Enter the sentinels , who will stop Tess when she gets a little too randy . Which is most of the time. The way it ends will make you happy and smile . There are things that will make you giggle and also go what the heck . This was a page turner for me . Once I started reading I couldn't put it down until I was done. I had to figure out what was going on. Why Tess was the way she was and will Brad and Julie survive the onslaught of what was happening. Will the house ever be ready to sell , will they sell and what about the Tiffany lampshade that they found in the secret room. There is something in the secret room but not going to tell you. You have to read the book to find that out. I am not going to spoil that for you all . So, if you love a great ghost story with out all the graphic violence and the gore of most stories. Michael 's book is for you. Michael is now an author that I will be keeping my eye on. He is on his way to becoming a great horror writer with a hint of authors gone by. He doesn't need to be graphic to keep his audience entertained. The story will do that all by its self. So if you like ghost stories with a love story mixed in . I will strongly suggest you check out Michael's book . Great summer read for the campsite or the pool, I promise you will not be disappointed one bit .